Why does mum’s food taste best? I’m sure anyone would agree that their mother’s cooking is finer than any Michelin-starred restaurant could ever be. It might be one of the greatest mysteries on earth, but a good reason could be the age-old tradition of passing down cooking secrets from mother to daughter. Growing up in India, home chef Priya Barve ate most of her meals at home. As a result of this, she spent a lot of time in the kitchen watching her mother and grandmother prepare traditional Marathi cuisine. When my mom used to make chapatis, she would always leave a small piece of dough for me to roll out, so the first thing I cooked was a coiled piece of dough! The catalyst for her love of cooking, however, was her marriage to Aniruddha – also a food-enthusiast – and their subsequent move to Hong Kong. “[Moving to Hong Kong] exposed us to a lot of new cuisines, and that’s how the passion started growing,” she explains. Like with any skill, practice is the most important thing. And since we enjoy cooking, practising it is always fun. But we do research a lot when it comes to recipes and techniques and our sources are endless! Youtube videos, Pinterest, recipe books, blogs, and so on – it’s best to keep an open mind when it comes to food. 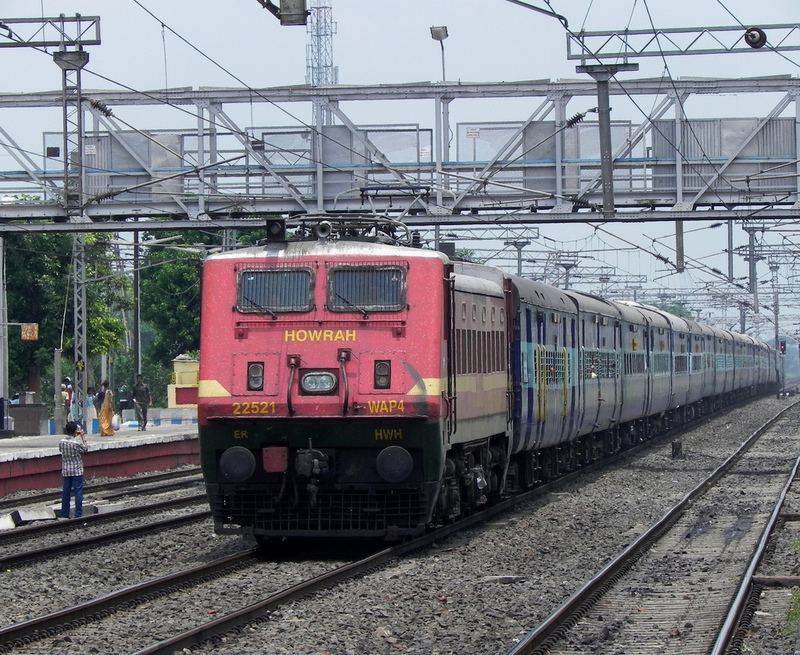 The Bombay Howrah Mail (now the Mumbai Howrah Mail) is the name of a superfast express train that runs between Howrah Junction and Mumbai CST in India. It is also the inspiration for Priya’s BonAppetour dining experience, The Bombay Howrah Dining Car. Although the pair did not actually meet on the train, this idea brought them together and connected them with their homes back in India. 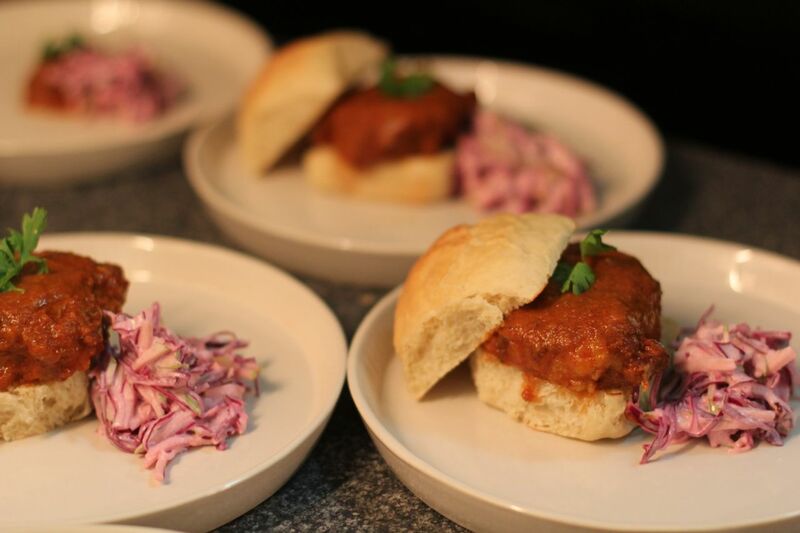 This is an experience that Priya wants her dinner guests to enjoy as well. Passion turned into profession for Priya and her husband as the couple decided to open up their own home restaurant in Singapore. Commercialising her interest and skill in cooking was something Priya and Aniruddha had long considered. I began to research innovative ideas on food, and stumbled across the concept of supper clubs in Europe. I loved the idea of hosting people at home because it felt more unique as an experience than going to a restaurant. And that’s how I started developing the concept for our home restaurant. Thus, the Bombay Howrah Dining Car was born on BonAppetour. The aim of the dining experience was not only to make delicious delicacies, but to introduce guests to the history and stories behind two cities close to our hosts hearts: Mumbai and Kolkata. India’s cultural variations are also represented through the chosen dishes of this dining experience, with a focus on the Maharashtrian and Bengali communities. At first we were quite nervous about having people over […] But meeting people has been one of the most rewarding parts of our experience. We also love when our guests compliment us about our food and creativity – it pushes us to continue to improve with every dinner we host. 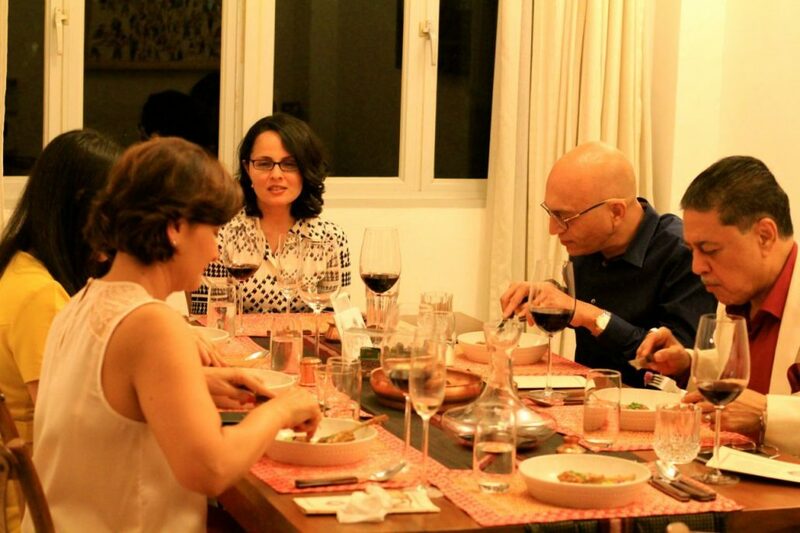 Priya takes great pride in hosting dinner parties in her Singapore home. From printing off little menus for her guests, to relaying the story behind each dish they are eating, she tells us that success lies in these little gestures. But the moment you have to think about serving for one person, plating is really something you have to think about. I would almost say for some dishes you work the dish back from how you might plate it, because then you start to think of other elements that will be needed to complete the dish. Priya is not only looking to share yummy fare, but she is also sharing a part of herself. A love of food is a common thread that links vastly different communities around the globe, and she wants her guests to feel connected to her past in South Asia by tasting her childhood-inspired dishes. The Bombay Howrah Dining Car is the perfect passage to India, and it starts in Singapore. All aboard! Since I have a sweet tooth, I enjoy making desserts the most. One of our favourite dishes is a steamed yoghurt and condensed milk pudding. The recipe is basically equal cups of yoghurt and condensed milk with ½ tsp of vanilla essence. Whip the mixture till smooth and then pour into containers of your choice. Place it in a large flat pan with water that comes up halfway to the containers. Cover and steam for around 15-20 mins. Insert a skewer to check that the pudding is firm, let it cool and then chill for a couple of hours.